It's always nice to refresh our stash with new supplies, so for each swap in this series you will send your partner 10 items that can be used in their junk journal or smash book. Each round will have a different theme. 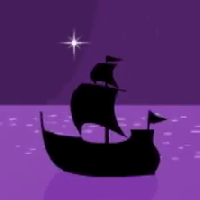 The theme this time is purple. Choose 10 purple or mostly purple items and send them to your partner. Be sure to send nice items that you would be excited to receive, this includes making sure your items do not smell of smoke etc. anything else you think of! This swap is open to established swappers with a 4.99 rating or higher. To be considered well established you must have been rated for at least 30 type 2 and 3 swaps. You will be removed without notification if you do not meet the requirements. I reserve the right to remove anyone that I think will not be a pleasant addition to the swap.